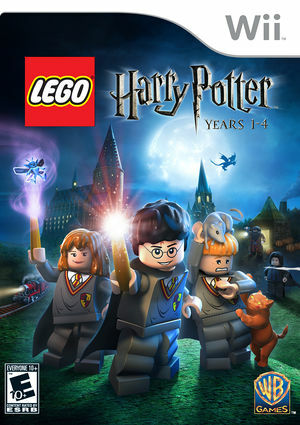 Lego Harry Potter: Years 1-4 is a video game in the Lego video game franchise, developed by Traveller's Tales and published by Warner Bros. The game is based on the Lego Harry Potter line and its storyline will cover the first four books of the Harry Potter series. Gameplay is similar to that of most previous Lego games, with an emphasis on collecting and exploring, rather than the emphasis on combat used in Lego Indiana Jones 2: The Adventure Continues and Lego Batman: The Videogame. When the Wii Remote pointer is held perfectly still in Lego Harry Potter: Years 1-4, the game relocates it off screen. It is unknown why titles do this. With real Wii Remotes, there is usually enough movement to ensure this does not happen, but with emulated Wii Remotes, it is very easy to see. It has been reproduced on console and is not a bug in Dolphin. The graph below charts the compatibility with Lego Harry Potter: Years 1-4 since Dolphin's 2.0 release, listing revisions only where a compatibility change occurred. This page was last edited on 23 March 2019, at 23:26.